What a day - all is a little sad as it was our last full day in Paris. 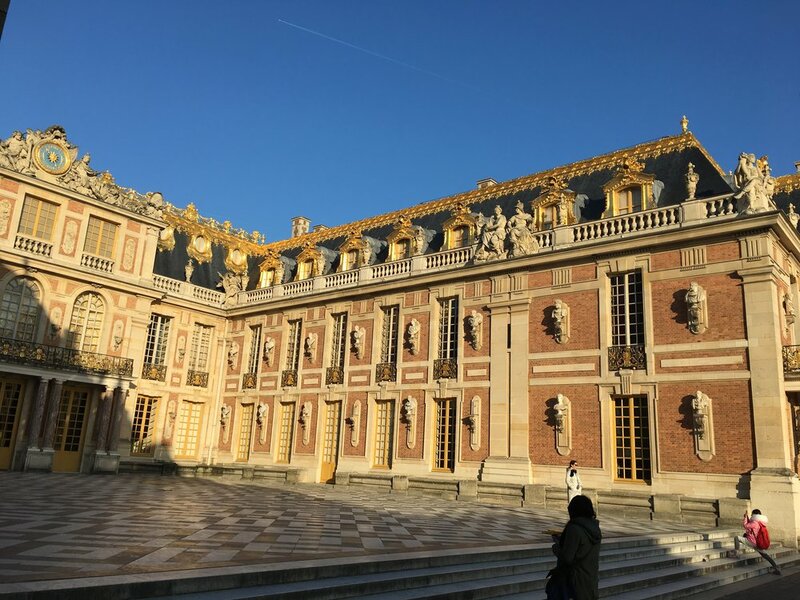 We were going to Palace of Versailles. Biggest painting in the museum. aftee the girls finished in the Louvre- we split up into our Pods (little group) to go and do some final shopping. We then hopped back on an hit Notre Damm church where we saw the beautiful stain glassed windows. What a day - today we were dealt a very humbling expierance visiting very many war sights. It made us thankful for what we have today and appreciative to those who sacrificed their lives so we could live the way we do today. Our first stop was Prozieres. The grave of the unknown Soldier. we then made our way by bus to our Hotel in Paris for 3 days, where we got out to see some sights. 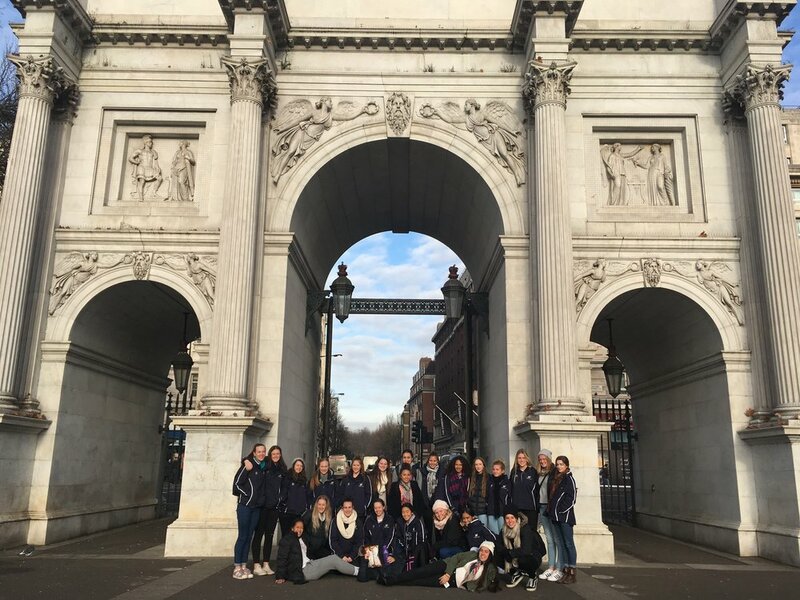 Today after an early start we picked the girls up from our hosts - MI7 from Cambridge, before making our way to the Ferry at Dover that was going to take us over to our destination France for the next few days. Today we picked the girls up from our host billets Nottingham and headed towards Warwick Castle - we have been told numerous times that this castle was the best castle, so we were looking forward to it. It may be wet, but that wasn't going to dampen our spirits. Well we headed into the castle and was told to do the Spook tour for an extra 2 pound. Girls voted and it was a let's do it - well it was well worth the extra dollars - the fantastic acting set the scene - and we were still talking about how scared we all were this afternoon. We then headed to the birds of prey exhibit where we saw 2 birds in action. 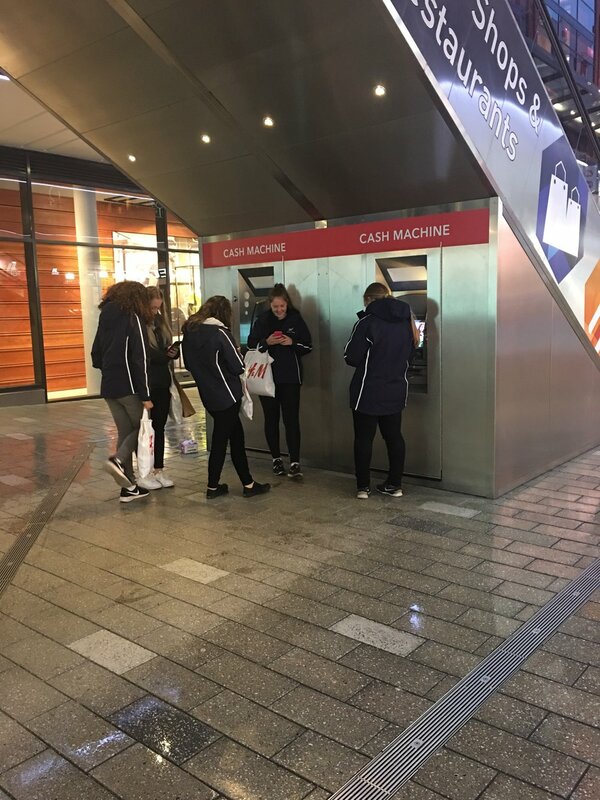 after a walk through the castle, maze and getting a very quick bite to eat we made our way to Cambridge to take on MI7. Today Wanderers took on MI7 in Cambridge - it felt like -5 but was not that bad, I think the coaches were slightly colder than the players. Team 2 - won 29-10 played very well today - best game they had played of the tournament. Our shooting accuracy was good and the conversation rate showed how hard they tried to convert. player of the Match: Amity. After a smashing first quarter we all played out of position to develop our skills - after all EVERY position ion Court needs to be able to attack and defend. We showed our skills and versatility to the end. Our last game together and we used it to showcase what we had learned and how we developed as a team. A solid defensive effort across the entire Court combined with balanced & timed attacking. team 1 tonight on a slippery court our midcourt made connections throughout the entire game. All players finished their final tour game on an exceptionally high level. It was fantastic to see and as a coach a proud moment to witness the girls hug each other and congratulate their team mates. tie for player of the match - Holly and Phoebe. after an absolutely beautiful supper - the athletes were whisked away to there hosts for the night and by what I have been told an absolutely beautiful dinner!!! Arh we started the day after picking up our players from there lovely hosts of two days - Cheshire and travelled to Nottingham - hoping to see Robin Hood on our way. We arrived at our venue only to see that the court hall had been double booked - none the less the good people of Sherwood Forrest arranged a new venue and we all hoped on the bus and headed to Nottingham University. What a credit this team is. They took on instructions and delivered what they were asked to do - resulting in a solid win. You have all raised the bar and set the standard girls - keep up the great work. tiday I had a tie for player of the match: kaitlyn and Bec. Today we played our games at the Veledrome where the commonwealth games were held - what a wonderful experience they had. We backed up today against Cheshire again - and again we were beaten by a very well drilled side the girls showed improvement and stuck to a game plan. Team 1 - today was a hard fought game and we had a narrow loss - everybody played well but player of the match was Nakita. team 3 - lost but a massive improvement from our team. Every player on court achieved their goal and was able to cwin ntrivute to a top or an intercept. More movement in our attack. After the games we then hit the Soccer arena And were treated to a great match between the Bolton Wanderers and Swindon - apparently Wanderers should have won but they came against a fired up Swindon. 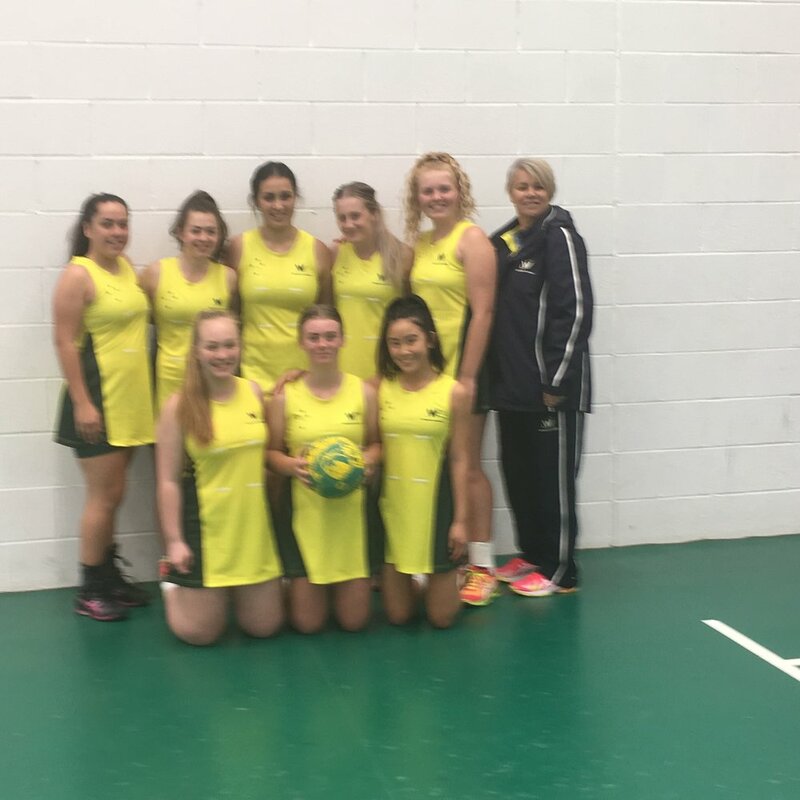 We would like to thank Phil Owen and the Board of Cheshire Netball - as coaches we saw that England Netball is in great hands with the way you are developing these athletes - congratulations. Again on behalf of all the girls we thank you Phil for arranging the Soccer game and opening your beautiful house to us. wr look forward to seeing you again - maybe you can come to Sydney and we can reciprocate. Today due to the possibility of being snowed in - we had to leave our hotel earlier and make our way towards Cheltham. As there was no snow we got to our destination 4 hours early - which fortunate for us girls it was right next to a DFO. This place was so big - none of us got through it in 4 hours. When we arrived to our netball destination - we were told how lucky we were to make it through as the had closed the road behind us - we had the luck of the Irish with us. Unfortunately that was where it stopped. Team 2 came up against a very well rehearsed and talented team who gave us a lesson in netball. We lost convincingly but I was proud of the girls efforts to continue - our positive was that our 2nd half was far better than our first. We are looking forward to a chance to make amends tomorrow. Team 3 - Junior team were fortunate to play two games today against extremely good competition. We lost both games but we never gave up. team 1 was our only team victory tonight and that too was a tightly contested tussle, both sides displayed extremely good skills and patience. 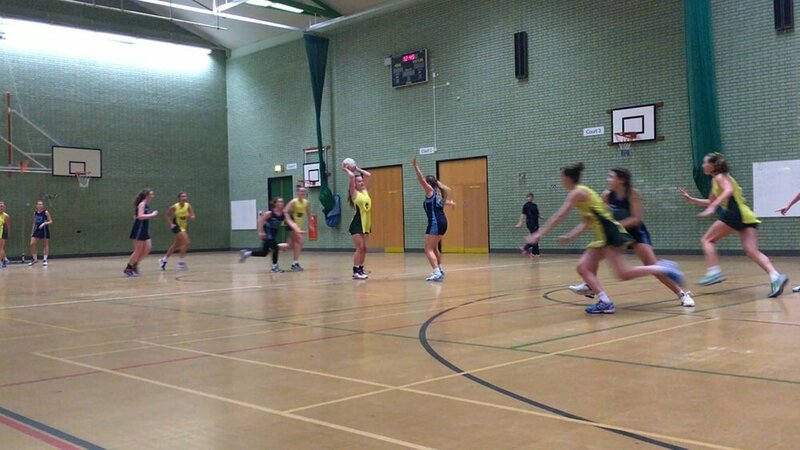 tonight Cheshire Netball showed well developed skills and executed moves. Today we were lucky enough to not only play a game against Bristol Grammar - but also a tour of Bath. We started the day with the tour of Bath seeing the Ancient Bridge with the river falls. 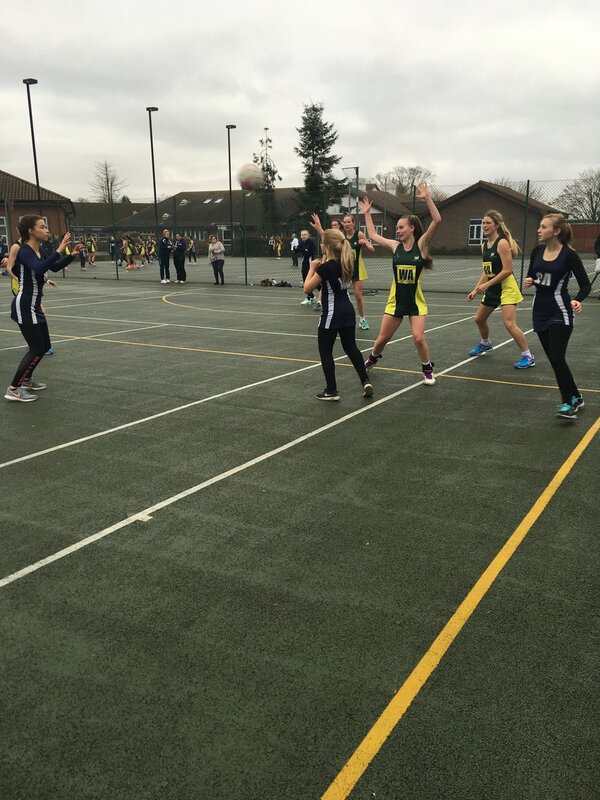 We started off playing Bristol Grammar today with Team 2 taking the court first. Due weather - we had to change some arrangements and play all 3 teams indoor - which meant some reduced times but still 4 quarters. Team 2 started strongly and we were a bit inconsistent throughout the game but we had a strong defensive unit of Carley and Karlee with keep Bristol To 1 goal during the first quarter, and our goalets strong at the back with Amity as GS. At the end of the game Team 2 were winners 18-9. Team 1 were next to play and they started out strong and continued to build throughout the whole game. Our defensive pressure had been our strength and today was no different. We were challenged by the physicality of our opponents and struggled to clear the ball from our throw ins. Consistent shooting enabled us to stay on top and take this game. We are continuing to learn and build as a team. tomorrow we are in for a really tough match. 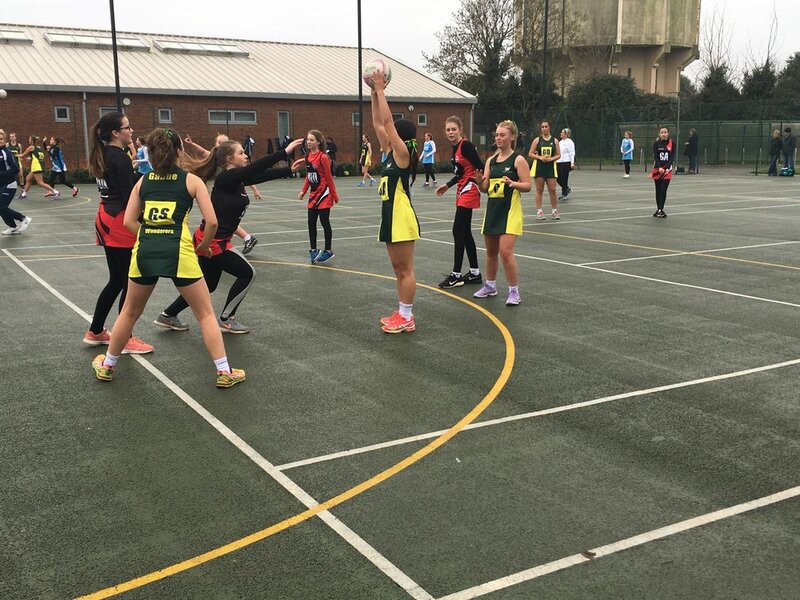 Today we had a day without netball - but that didn't stop us "wanderering" around the UK. after a hearty breakfast - we headed towards Windsor Castle to visit the Queens quarters. Somebody is trying to hide the Crow!!! Today we witnessed a changing of the guards and a spectacular band performance. after a Lunch on the Run - we hit the bus and headed towards Chelsea stadium. The girls learnt about the history of Chelsea, and were shown the media room plus visiting and of course Chelsea's chamgerooms. Rest assured - the girls are have Ng a great time - games tomorrow so stay tuned - there will be a portion of a live feed tomorrow - I'll post times on Facebook tomorrow morning. The WI-FI has not been kind to us in these parts of London. Sorry for the delay. Today we made the trek to Putney High School where all three teams took on a very tough local High School Team. Team 1 - Seniors - won 51-31. We had a slow start against a solid Putney High School - they came out strong and it took us a while to find our feet. Our progression through the quarters was excellent Nd our skills progressed. This game was a tight tussle from the outset - Putney had some players that have a bright future in the game - it passed us every minute of the game. As the full time hooter went Wanderers were victors - and earnt a well earned afternoon tea. man of the match Amitee Worley. Starting to work well as a unit as we get used to each other. A strong defensive effort from everybody saw us win a lot of ball which our shooters converted. Today we started the day off with the girls being dropped off at our hotel by the parents of our wonderful billetts from Braintree Netball. We heard all about the adventure of the Bowling Alley - who aced it on the wood and who needs to improve there Bowling action - I hear Amitee is a bit of a gun and Savahna needs to work on her spin - perhaps a state of origin rematch is warranted upon our return. Thanks again Braintree for your generous support. See you guys again soon. Our first stop of the day was Cheltenham- Stow-on-the-wold. were we visited some of the oldest shops in England - the girls explore the area and stocked up on some old fashion treats. We then hopped back on the bus and drove towards Guiting Power - I myself may have found a few places where I could live - totally beautiful - such an amazing opportunity to have Mike our tour guide with us - he lives in this area, so we got a number of insider tips. We visited The Hollow Pub for a hearty Lunch and visited a bakery - run by a 97 year old woman who works in the bakery 6 days a week. Guiting Power is a town that is owed by trustees and you can only rent properties here. We then made one more stop at a shopping area in a quaint town to pick up our supplies before our games tomorrow against Putney High School. We came up against a team who had very accurate shooters who were unphased by our defence. 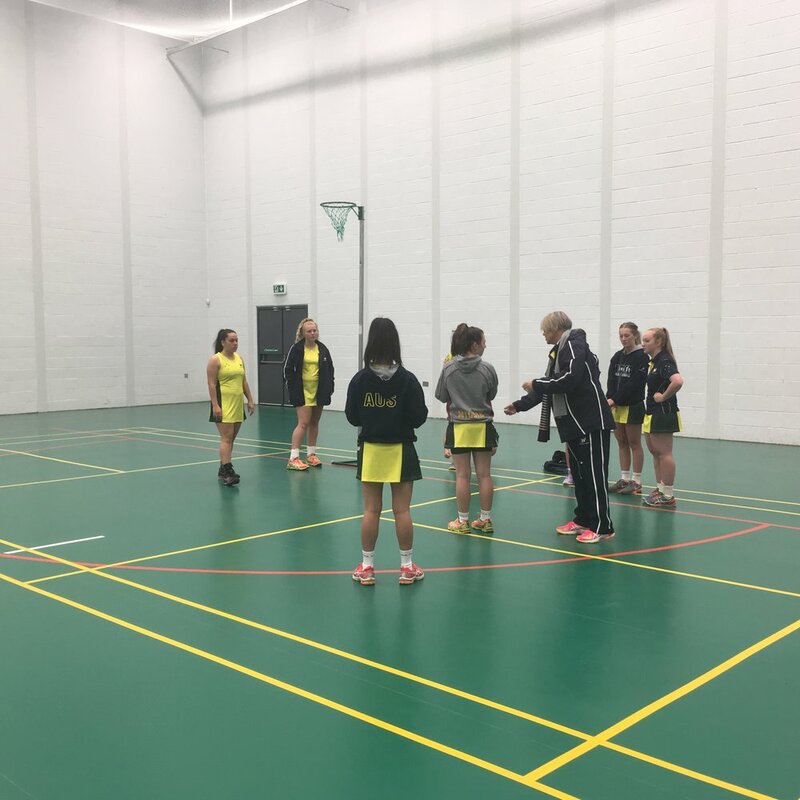 We are developing basic skills which will assist us in playing better netball. A strong and determined start put us ahead early in the match and we continued to build on this. Fantastic shooting by our team saw us come away with the win. We moved outdoors and the fact we survived the cold was a real positive. Players are tying to deliver what is being asked of them and each game we play improvements are being seen. Players are also trying new positions and developing as individuals and as a team. Tonight they are being billeted - and the girls and being taken bowling y there host families!!! tune in tomorrow when we take on the Cotswolds. 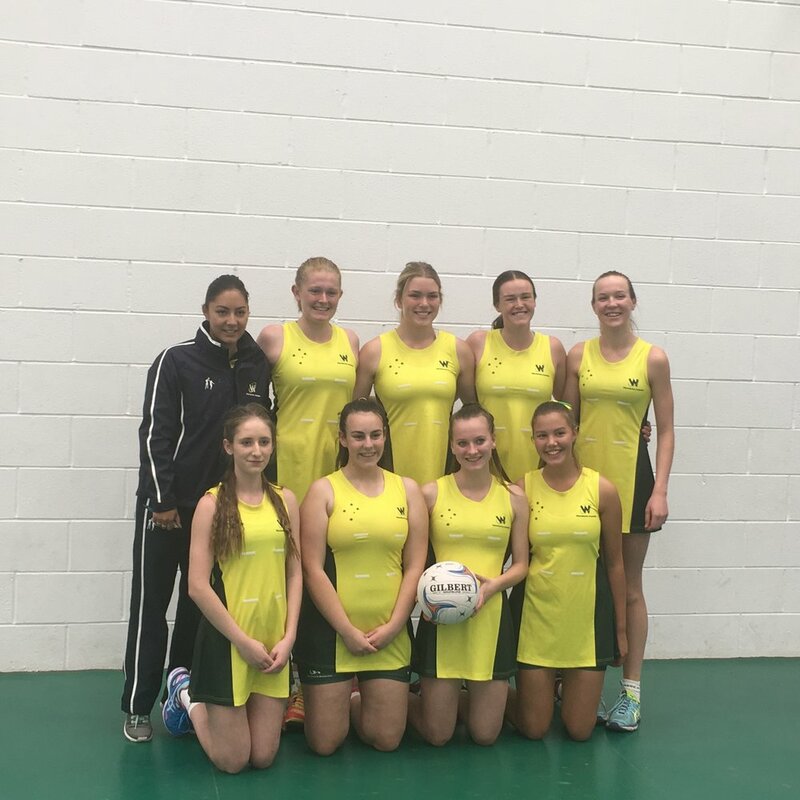 Today we were heading north to Cambridgeshire to play against a few teams in a mini carnival - hosts are Chatteris Foxes Netball Club - the girls were extremely excited to play after there nervous start two days ago. We started the morning off with all teams playing together. Match report - significant improvement by all players. Match report- defensively took control and turned the ball over consistently. PLayer of the Match - Rebecca Evans. 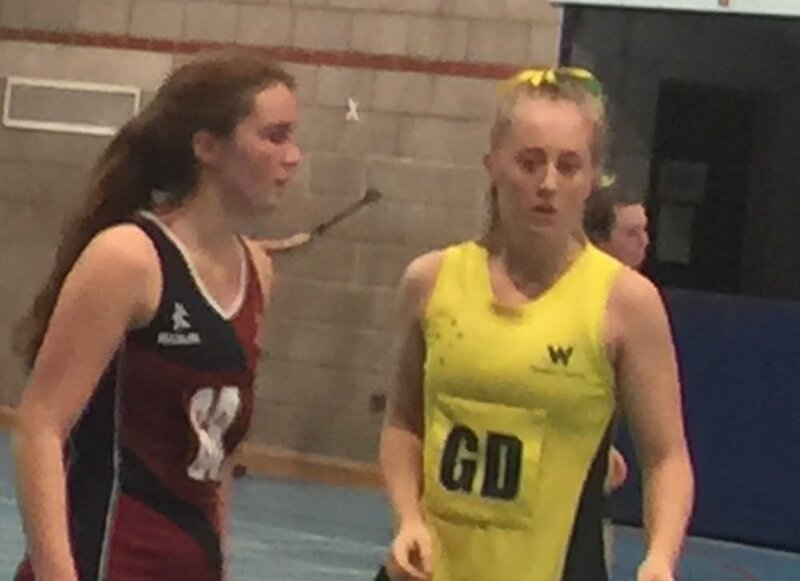 Team 2 took on Ladybirds - and had a much improved game - the girls all played extremely well, and it was a hard job to find an individual but - Millicent Gabbe was awarded player of the match due to her continuing to nail the "pop" with ease . We then played another full game against our hosts in which all three teams won again. it was a day which made all of the coaching staff extremely proud to witness the girls not only playing but also displaying incredible sportsmanship to the teams they played. We are certainly proud coaches as you should be as parents from afar - the amount of compliments we all received about the girls was outstanding. Well today we picked the girls up from the Raiders Billets - - we cannot thank Raiders Netball enough for the kind hospitality they showed. We then drove an hour to our next destination where we met up with some fellow wanderers - the Hockey Group. tune in tomorrow as we head to March for our mini Carnival - by Hosts the Foxes. After a very well earned sleep and a hearty breakfast we commenced our day with a trip to London Tower - the girls got to look at the Crown Jewels - a couple of the girls were eyeing off how the crown would sit on their head!!! Some last minute instruction before the big match!!! Stay tuned for more information from Tour 2 - tomorrow we have a rest day before our big tournament day!!!! 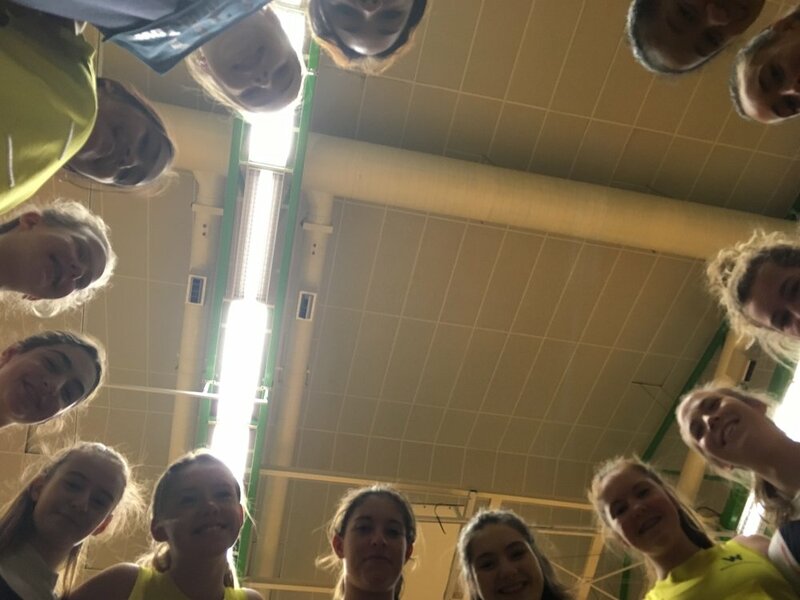 This is where you will find all the updates from our netball tour 2 group ! Stay tuned !